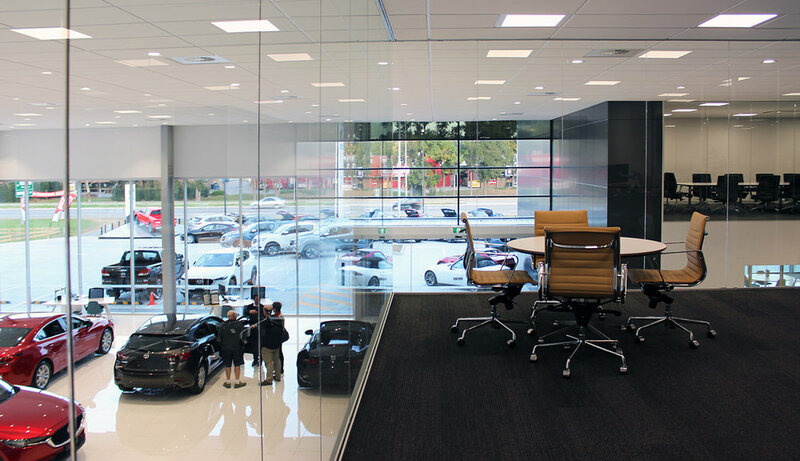 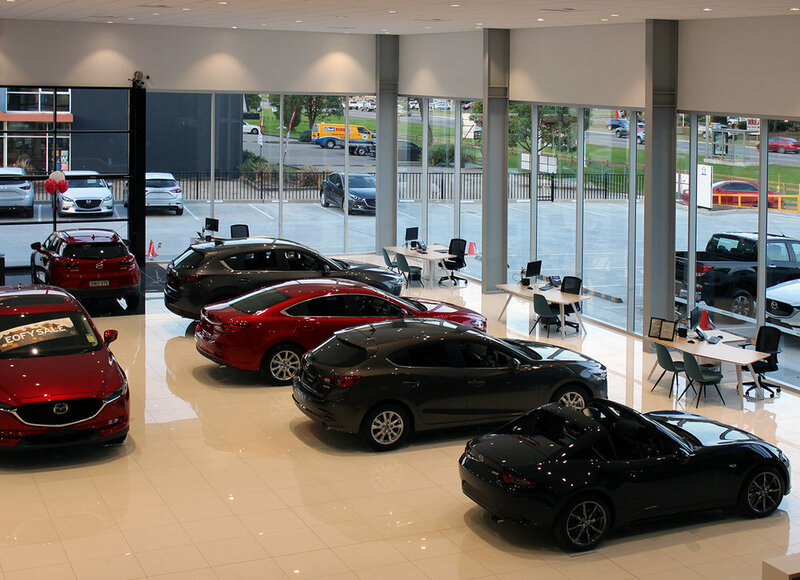 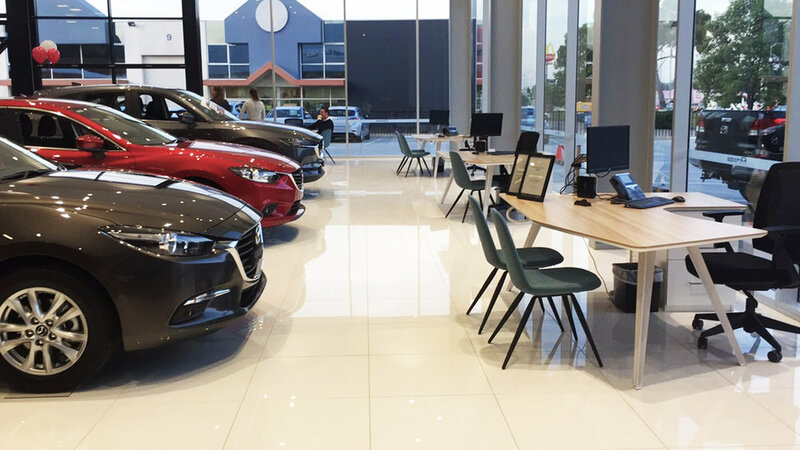 From its world class set up, to its sophisticated furnishings Mazda's new showroom incorporates all the elements to impress. 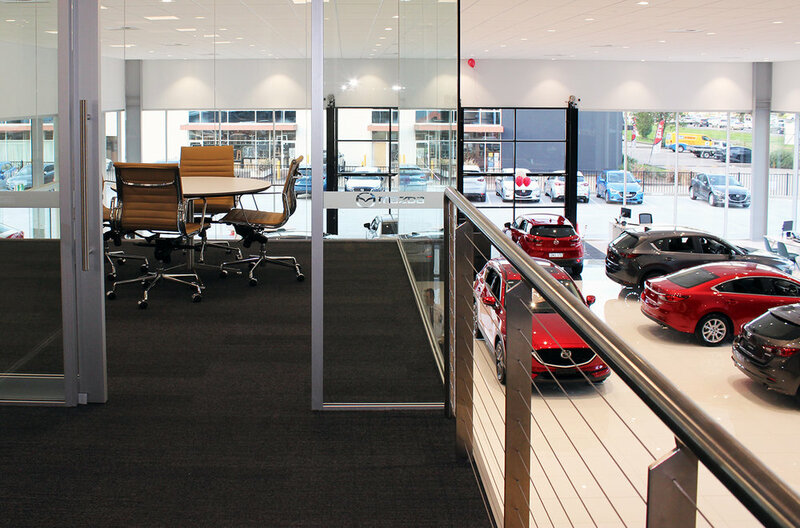 Using a host of our products and custom made joinery, we created a solution that embraces style and practicality. 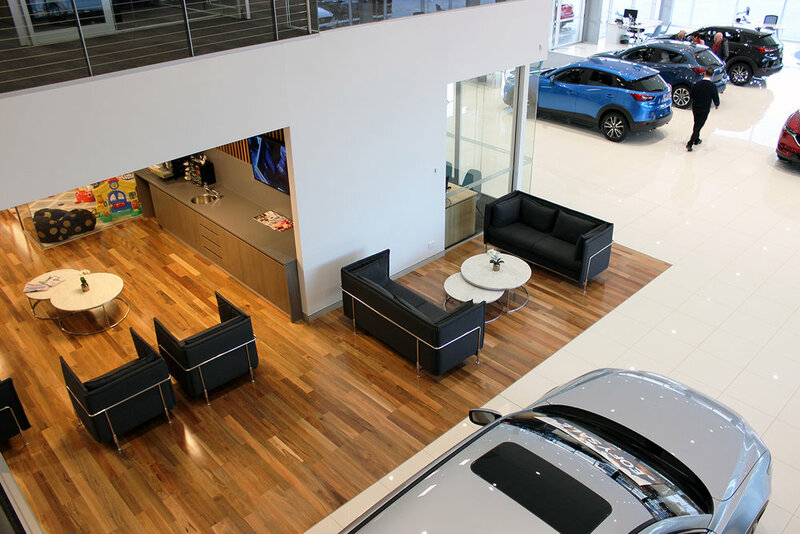 Featuring our products in a beautiful palette of white, wood grain, grey and blue, a consistent aesthetic was carried throughout the entire space. 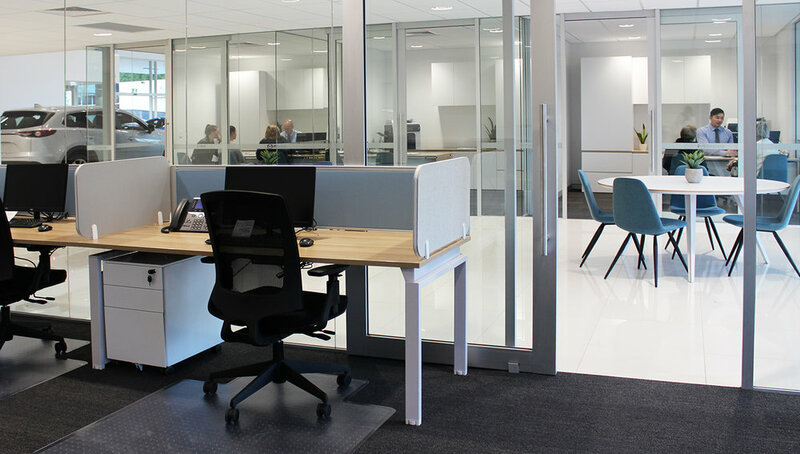 Desks in the showroom and executive offices were a classic combination of Merge and Dart organic spine desks, while back end offices featured a selection of Benchwork and Keywork workstations, teamed with Miro and Tang chairs. 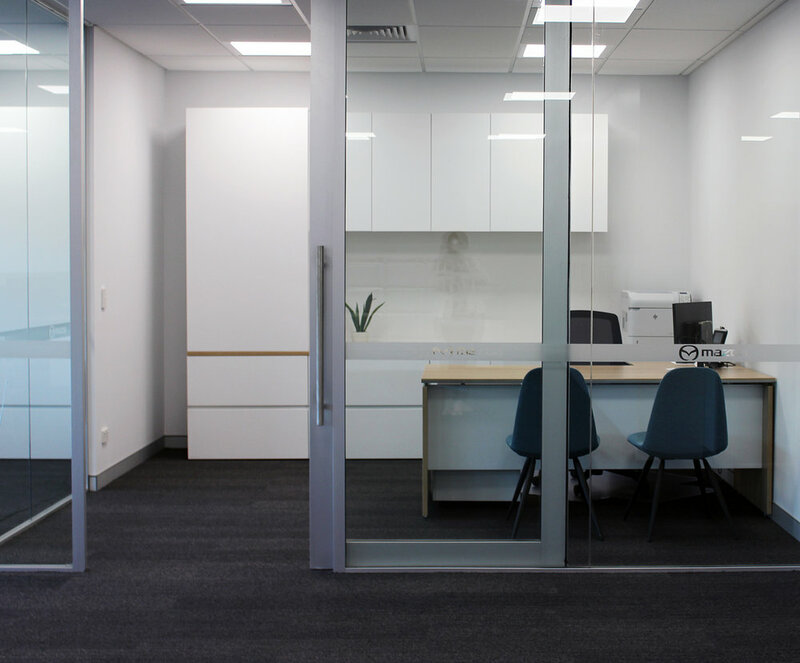 Storage was also well catered for, with an extensive array of custom joinery being created for executive offices and a selection of steel and melamine storage in other areas. 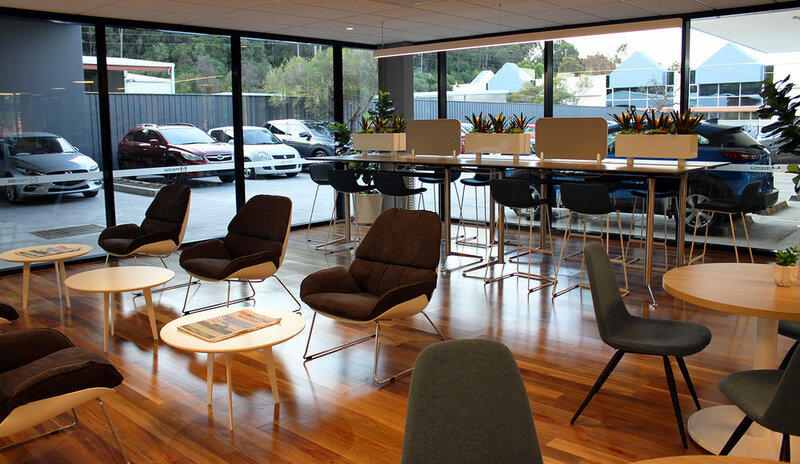 The waiting and reception areas were designed with customers' comfort in mind, resulting in warm and inviting zones that boast a variety of our breakout furniture from Jena chairs to Hush lounges, Dart coffee tables, Tang chairs & Halo tables. 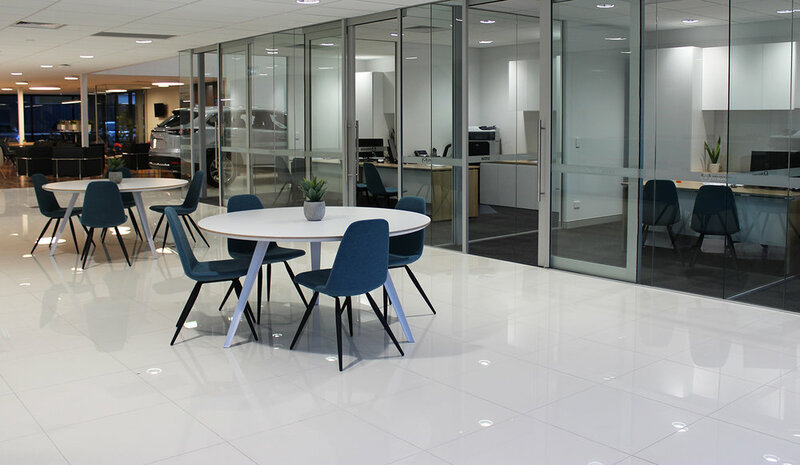 Fully powered Oslo counter tables and Zorro stools offer the perfect place for customers/staff interactions, informal meetings, lunch breaks and activity based working. 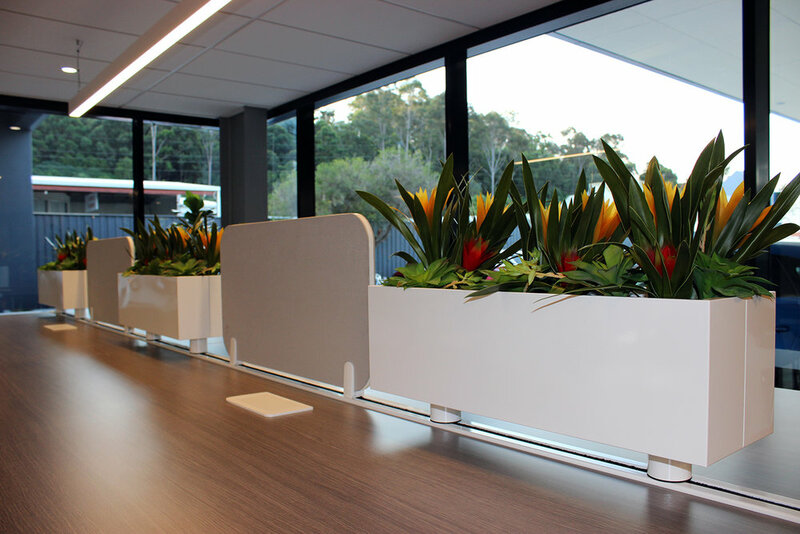 The addition of a Trak accessory rail with planters and screens gave the tables a touch of lux and a heightened sense of privacy. 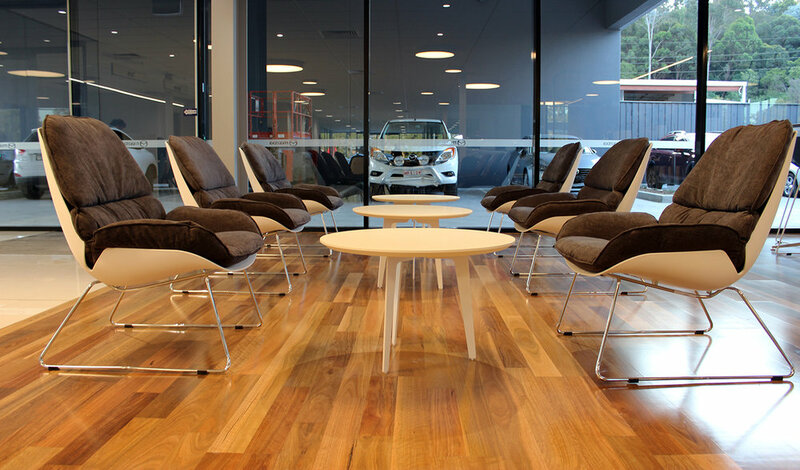 Our Tang and Dart ranges were also standout pieces, with their distinctly shaped legs offering a bold and modern touch that fits with the brand's image. 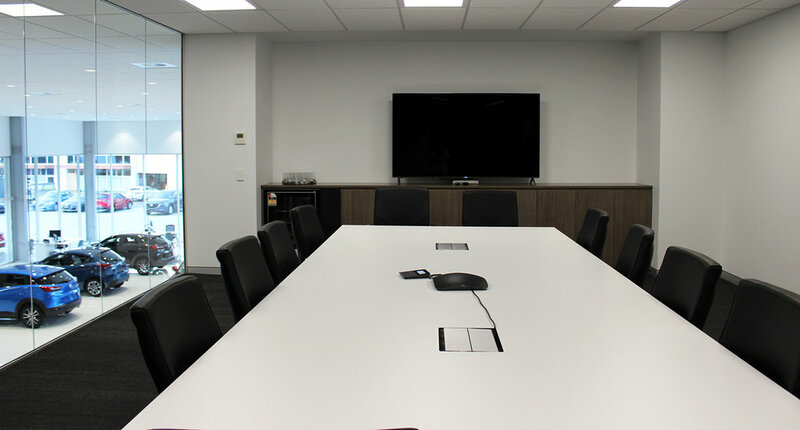 Our Sax chairs in a custom tanned colour were also a nice addition, standing high above the showroom and paired with our Oslo table in the director’s office. 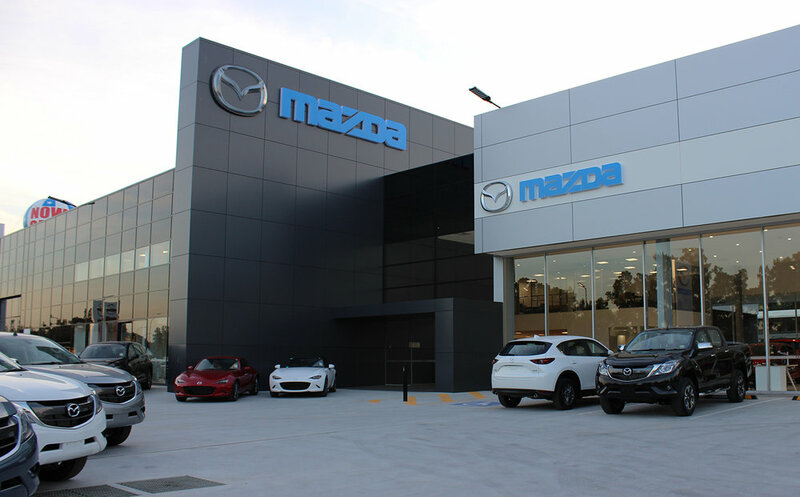 Mazda’s new showroom is set to fulfil the company's everyday needs whilst also offering a platform for success for years to come.